What makes a world class venture capitalist tick? How does she develop the confidence to invest in the future now? Meet Jalak Jobanputra, the General Partner of Future\Perfect Ventures. Jalak Jobanputra is a global technology veteran and powerhouse with a 20-year track record of investing in cutting edge technologies. While running her own micro-VC fund, Jalak also makes time to write one of the top 10 investor blogs, the Barefoot VC. Jalak is a highly sought-after speaker and one of Forbes 40 under 40. In our conversation with Jalak, we will hear why not being in an office in Silicon Valley gives her a competitive edge, what she looks for in the entrepreneurs she funds, and why she is still so excited about her work! Jalak is investing in the future today – a future that includes mobile technologies, blockchain, bitcoin, artificial intelligence, and much of what is today’s most cutting edge technology. Listen to hear the pearls of wisdom from this technology thought leader! Foursquare CEO Dennis Crowley Steps Down by Alyson Shontell, Inc.
JALAK JOBANPUTRA - A technology veteran with over 20 years in startups and VC, Jalak founded Future\Perfect Ventures in 2014. She has invested in over 80 early stage companies over the past 15 years, resulting in several multibillion dollar acquisitions and IPOs. Previously, Jalak was a director at Omidyar Network managing mobile investments in emerging markets, and Senior Vice President at the New York City Investment Fund where she launched a seed tech fund and the Fintech Innovation Lab. She was also at Intel Capital in Silicon Valley from 1999-2003, on the founding team of a web startup in 1997, and a tech/media/telecom investment banker at Lehman Brothers in NYC and London. Jalak has served on multiple advisory boards for the White House, NYC Mayor’s Office, and the US State Department, and serves on the BOD for the Center for an Urban Future. She is a frequent contributor for CNBC, Bloomberg TV, Business Insider, Quartz Media, and Fox Business News. She has been active on Twitter since 2007 at @jalak. Jalak: That human desire for connectivity is so strong, regardless of who you are or where you are in the world or what you have in the world. Want to know what makes a world-class venture capitalist tick? Want to know how she developed the confidence to invest in the future now? Meet Jalak Jobanputra, the general partner of Future Perfect Ventures. We have a global technology veteran, a powerhouse with a 20-year track record in investing in cutting-edge technologies over two venture cycles. While running her own VC fund, Jalak also makes time to write one of the top 10 investor blogs, The Barefoot VC. 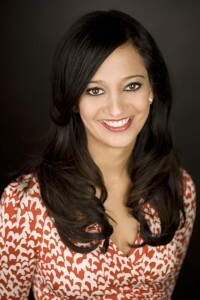 Jalak is a highly-sought after speaker and one of "Forbes 40 under 40." In our conversation today, Jalak will share her insights from her investing experience, including why not being in an office in Silicon Valley gives her a competitive advantage, what she looks for in entrepreneurs she funds, and why she is still so excited about her work. Jalak is investing in the future today, a future that includes mobile technologies, blockchain, Bitcoin, artificial intelligence, and much of what is today's most cutting-edge technology. Keep listening to hear the pearls of wisdom from this technology thought leader. So, Jalak, you've had a wide variety of technology investment roles over the past 20 years, an extraordinary career and experience so far. And I'm really interested, because you've been through various VC cycles, and not a lot of people can actually say that who are in the VC world right now. Any observations you can share on a market right now, which I don't know if...are we in another tech bubble, or are we not? What are your thoughts? Jalak: Well, that's the billion-dollar question, right? Well, the perspective from having venture-invested since 1999 puts a lot of things that are happening now in a different light, in that I know what goes up must come down. We have never been able to get out of economic cycles in the history of economics. So we know that things have been very positive and frothy over the last few years. And so we're going to start to see a stabilization of all of that. In fact, we've already started to see that. However, a lot of things are also different from, say, 1999 or even 2008. And those are the two cycles that you are referring to that I've invested through. And one of the things is that we are now seeing ubiquitous use of technology around the world. So instead of just being concentrated amongst early adopters in Silicon Valley or New York, we now have people all over the world, all over the United States, using technology, using smartphones. So, a lot of business models that were not feasible back then, because people were not using as much technology, are now a lot more feasible now. Now, that does not mean that valuations are necessarily in line with all of that potential. And so we've seen a lot of money come into the asset class in early-stage investing, pre-IPO investing, and that's been driving the prices up. And we've also seen a situation of low-interest rates, which means that a lot of these investors are putting money into technology companies. And pre-IPO companies are doing that because they can't get returns elsewhere. Kelly: Until maybe this week, with the market being where it is and whether or not traditional markets, be it commodities, the stock market, how that's going to maybe play into some of the sanity of the valuations that you referred to. And whether or not, I'm sort of thinking, the mass adoption of mobile technology maybe, how is that going to play into bounce back, I would say, of tech, if we're in a tech bubble in terms of a sanity, with respect to unicorns and valuations? Or are we going to see this prolonged again, or is this going to be a quick bounce? What are your thoughts? Jalak: Well, because we are seeing broader adoption of technology, and you just mentioned smartphones, I don't think we're going to see a crash in the tech sector the way we did in 2001, where for a few years, there were only a few companies that really survived. Amazon was one. EBay was one. And so, we will see, I'd say, more companies surviving, because their products and services are needed in this world where everybody is starting to use technology or has been using technology. So, I would say it would be more of a correction and a stabilization. And then we'll start to see some growth from certain elements of the sector. One is globally we're seeing a lot of people come online with smartphones. We're almost at 50% of the world is now on smartphones or will be in the next two years. So, if you start to think about how we started using smartphones and all the different applications that arose, the needs, just in terms of data and pipes and bandwidth. So, all of that is happening on an exponential scale throughout the world in places like India, China, Africa. And that's where most of the world's population lives. Kelly: Even if we don't think so, based here in New York City. And I want to get into your investment thesis, because I want to say, with respect to smartphones. And when we think of smartphones, we're probably thinking of the next Dots or whatever game we're going to play or which app is going to get us a taxi. But where this explosive growth and opportunity is is really in these countries where you're getting smartphone adoption before you have banks and other types of infrastructure we take for granted. And that is completely shifting markets. And I want to really get into more of that with you. But before we do, as we were talking before we started, so many people are calling themselves venture capitalists. What is venture capital, and who is a venture capitalist? As someone who's been through two cycles, I'd say you get to wear that badge, but what's your view? Jalak: That's a great question and a great level set, I'd say, especially in a market like this. So a venture fund is an asset class, just like mutual funds, just like hedge funds, where I go out and raise money from investors, who then ask me to invest that money in early-stage technology companies. So, I go to them with a strategy. And venture is a longer-term asset class, in that most funds have a life of 10 years. So, I invest the first 5 years. And then the next 5 years, you're expected to start generating the returns on those investments, because it does take some time when you're doing early stage investing for those companies to grow. Kelly: Let's just repeat that point. 10 years for the fund. This is a long-term investment. Kelly: I just wanted to stress that. Jalak: Yes, absolutely. And so it is a major commitment on the part of the fund investor, as well as the venture capitalist. And it is something you have to be really passionate about doing and understand the risks and be able to manage a company through, potentially, cycles. And that's where having invested through '99 and 2001 and seeing that bubble and the bursting of that bubble really is helpful in an environment right now, which is becoming a lot more uncertain. I have made sure that the companies I've invested in are in a good position, whether it's raising more capital when they can or looking at plans to profitability in case they're not able to raise in the timeframe they originally thought they would be able to. So, it's a lot of hands-on work, working with the entrepreneurs, especially when you're investing at such an early stage. Kelly: Let's just think about portfolio investment strategy for a moment, because I think that would be really helpful to people. So, you've raised a fund. You've got a new fund. The first five years, what are you looking to put in that? And at various stages of companies, what are you looking for? And then what are you doing with them in that final five years, assuming it's a 10-year fund? Jalak: I said five years and five years. There are companies I've invested in that are looking at acquisition offers two years after I've invested. So, I'd say it's not hard and fast on...you spend the first five years just investing and the next five returning the capital. You can start returning capital much sooner. So, I invest in very early stage. It's usually after a product has been built. It may not be launched yet, but it's been built out. It's something I can look at and assess and see how big of a market I think there can potentially be for that product, and then look at the team and see if they have the right expertise to at least guide this product in the early days. Often, we see changes of management team down the road. But you want to have a stable team in place for these first two, three, four years. And since I do invest early, I'm looking for these what I call game-changing ideas and technologies. And because there is more time to develop into something that is truly game-changing versus, I'd say, a feature that's added on an ecommerce site. Some of the things I'm looking at are artificial intelligence, machine learning, blockchain infrastructure. Online video is an area that I think is poised for a lot of growth in the next five years. So, I look at what isn't really around right now in a big way, but will be or should be, based on trends that I'm seeing out there in the world that needs to get funded now so that they can capture this early growth. Kelly: I want to dive again into some of this a little deeper. As you're saying, seeing trends and these big, wider changes, part of that, I think, is probably based on your experience, having this career in venture that has been through all of these cycles. So, a really basic question, what does it take to be a VC? What's Jalak's life like on a yearly basis? I'm really interested in how you're finding the time to think about these things, because that's a bigger pause and reflection rather than just attending accelerator demo days and seeing what the kids are telling you. Jalak: Absolutely. There is a lot of noise out there. And we all feel it, regardless of what we do, because we're being bombarded with information and articles and people, and the world has just become so much more connected. So, it is very important to have that reflection time set aside to absorb everything that you come across. And so what I do is leave aside Fridays to catch up on reading, to really think about... Sometimes I'll see two to three new companies a day, and then spend time with the current portfolio, helping recruit or problem-solve. And so it's a combination of evaluating new companies, helping the current companies, and keeping my investors updated on what's happening. And so that doesn't leave a lot of time for reflection during the average workday, which is why I try to set aside one day a week where that happens. I do travel a lot for work and looking at companies, because I have a pretty global mandate in what I look at. But then when I'm traveling, I also try to do the same, because I think that's where you see trends that are not happening in the United States but are happening on the ground in Africa or are happening on the ground in India. And a lot of that has given me an edge versus some folks that might be sitting in an office on Silicon Valley and not seeing what's happening on the ground in these places. Kelly: I think it is getting on the ground, but on getting on the ground, how did you find Case Wallet, which is Rochester, New York-based? Jalak: Well, that's a great story. You were asking about what VC entails. And networking is a big part of what VC entails. For a long time, I had a negative view of networking. It always felt like something that you just had to do to get something. Kelly: Schmoozing. You're really just schmoozing. Jalak: I was trying to avoid using the schmoozing word, but that was my perception of it. But as I got deeper and deeper into my venture career, I realized it just meant that I was talking about what I'm interested in, what I've learned, what I'm passionate about. And that's how I really uncovered the best new deals, because I do believe that when I invest in an entrepreneur, they have to be just as excited to have me on board as I am to have them in the portfolio. And it has to work from that chemistry standpoint. And so a lot of the companies that I've invested in have just come through connections through networking, even if it's not directly with that particular company. So, Case, Melanie Shapiro is the founder. She's an amazing serial entrepreneur who had lost some Bitcoin. After she sold her first company, she was dabbling in Bitcoin and understanding a little bit more about it. And then she had lost some, and then she realized that there were some security needs before this technology could be more broadly adopted. So, she gathered a team together. She was a graduate of Rochester Institute of Technology, which has great cryptographers who research and study there. And she gathered this team to come up with a solution. Meanwhile, I had put together a dinner for female entrepreneurs in New York that the fund hosted and started talking about some of the areas I was most excited about and mentioned Bitcoin and blockchain. One of the women there knew Melanie from a long time ago and made that connection. So, that's where I think just putting yourself out there, talking about what you're interested in, leads to connections that you won't find otherwise or wouldn't easily find otherwise. Kelly: That's such a great story, and you're absolutely right on the networks and the importance of having those connections, and as you said, being passionate in talking about what you're doing. And I'm sort of laughing, thinking in my mind when you said the entrepreneur has to be equally interested and passionate about working with you. And all I could think in my head was, "Yeah, because you can't have a marriage with one person in it." Jalak: Yes. And that's the analogy everyone always talks about, marriage. And some people say it's even more of a commitment than marriage because it's hard to get out once you have an investor on board. Kelly: When it's all about money, the pillow talk is really ugly. So, let's talk about Future Perfect Ventures. It is a micro VC, and that is probably one of those things which is different than past two cycles. We've got this explosion of micro VCs, as well as, I want to say, an increased activity by strategics, and you kind of know both, but what is a micro VC? Jalak: Yes. And that distinction is absolutely correct, where previous cycles, I'd say technology development just took more money. If you look at...I used to work at Intel. That's a semiconductor maker. And they required hundreds and hundreds of millions of dollars, because they had fabs set up, manufacturing facilities. And now, because we have cloud computing, tech development is much cheaper than it used to be. People can put up an app fairly easily with fairly low cost. You can outsource a lot of the work that needs to be done. So, overall, companies have required less capital to get to that exit, so either an acquisition or an IPO. And so that's created the potential for micro VCs, which are just smaller funds, with the idea that there are some types of companies that don't require as much capital and you can invest smaller amounts, be very capital-efficient, and then be able to get a return on that capital in either a shorter time period...with a lot less capital. So, a lot of venture funds were at least $200 million, $250 million back in the late 90s. Now we have a fair amount of sub-$100 million funds, which also work nicely with the entrepreneur, because I need to have enough ownership of a company to make the time I spend with a company worthwhile. And with those smaller dollar amounts, you can actually put in less money for that same ownership. And so you're not forcing the entrepreneur to take more money than they're ready for. And that may sound crazy. Why wouldn't they take more money if they have access to that money? But every time an entrepreneur takes money, they're giving part of their company away. And they don't want to give too much away at too early of a stage before they've figured out who the customer is or where the real growth is going to come from. Kelly: Well, and the whole idea that the money might blind that this is a bad marriage and stop you focusing on what you really should be doing. So, I am an LP in a micro fund, not yours, I'm sorry to say. But as an investor or potential investor, as an LP in a micro fund, what should someone be looking for in the general partner? Jalak: Well, running a micro VC, you have to be very cognizant of how much capital a company is going to have to raise, ultimately. Because just as an entrepreneur gets diluted, which means starts giving up more and more of his or her company, a venture fund, especially an early-stage venture fund will have the same thing happen if they don't have enough capital to keep putting money into the company. So, I think any fund investors have to know that that fund manager has discipline. I think discipline is important at all stages of venture capital, especially in a market where the valuations get high, and there is this fear of missing out, the FOMO, which I've seen a lot of investors fall prey to also, where they hear so-and-so is in the company, and they need to get into the company without really thinking about the fundamentals and the valuation. So, when I talk to fund investors, I always stress how seeing these different cycles helps create that discipline, because you've seen what happens in markets or when valuations get too ahead of themselves. And that's not good for anybody in the ecosystem, including the entrepreneur and investors. Kelly: And as an entrepreneur who is pitching to get funded by...I want to say looking at the landscape and saying, "All right, I'm going to go pitch these funds. They're micro VCs." What if you were advising an entrepreneur? What would you say to them, "If you're pitching micro VCs, look for this in the fund or fund managers." Jalak: The advantage of having a micro VC involved is that is the smaller investments in earlier-stage companies is their bread and butter. Whereas once you start getting to larger funds, they may put small amounts in as option-valued, and see how a technology develops. But their bread and butter is later-stage deals. So, it's really the time and what you're going to get from that investor in terms of help. You're giving away part of your company. You want to know that that person is a true partner in being able to tap into their network, their expertise, their overall experience. So, those are always things I tell the entrepreneur to look at when they're getting money from anyone, but especially if that's what a micro VC is supposed to be doing, and they're not, there's an issue there. Kelly: I would say it's always so hard that so many entrepreneurs are looking at the money and the check. They're not looking behind it to see what comes with it, and as you said, the expertise, the network, the ability to pick up those calls to those other VCs to close around or to start the conversations for the next round, all of those things. And I think too many times, people don't ask that question of what's behind that VC besides someone with a pen and checkbook. Jalak: And that goes back to your question of what my day is like. And I spend so much time doing, and recruiting is a big part of it, tapping into my network. And that's where I find having this long career is very helpful in terms of running my own fund, where I am able to pick up the phone and call these folks that I worked with at Lehman in 1995. They're doing very interesting things that can be helpful to the portfolio. So, careers are long, and I think the best VCs are ones that have accumulated very strong networks that they can tap into on behalf of their portfolio. Kelly: And if you weren't a VC, the way I look at your day, you should have been a, I don't know, a triathlete or a marathon runner for the stamina you need to have. Where did the name for your VC fund come from? What's the story behind Future Perfect? Jalak: Well, it has a lot of meanings to me. First and foremost, I applied to college as an English major. I wanted to be a writer. And I also believe that a lot of great technology development involves multidisciplinary backgrounds. So, it's kind of my homage back to that liberal arts, English major, but a real appreciation for that, because as we know, future perfect is a tense. And when I started thinking about what tense I wanted to use, it just epitomized what I wanted the fund to stand for, which is that I'm investing in the future now. I'm referring to the future now, which is what the future perfect tense does. And then I just thought, "Even if you didn't get all of that, even if you weren't an English major or English is not your first language, I just liked the idea of a more perfect future." Kelly: That's fantastic. Just from hearing that...I know my past life was a lawyer, and as a lawyer, you're not supposed to ask the question you don't know the answer to. I did not know the answer to that particular question. How did you go from an English major to where you are now in terms of an expertise in future technologies? What was the moment that you went from...because I think there's a sort of view of what an English major should be doing. How'd you end up at Lehman Brothers? Jalak: So, I ended up not staying as an English major, even though I had applied as one, which is one of the things I always say when I'm mentoring and talking to younger folks and especially younger women. I always say to be open and not pigeonhole yourself and to be open to new experiences and push into areas that you may not know a lot about, because who knows where that will lead you. And it doesn't mean that you have to go there, but it's so important, especially at a younger age to explore different areas. And so my story, I'm going to take it back even further than that. I was born in Nairobi. We moved to the U.S. when I was young, but I grew up going to India and Africa as a child, because I'm of Indian descent and had family there. And then obviously we had a lot of family in Africa. And I just remember one of the trips to India, we went to my dad's ancestral home. And I think I was around 10 then. It was literally in the middle of nowhere. This was in the early 80s when India was not as developed as it is, very closed off to the rest of the world. And we were in a hut in the middle of nowhere, about 10, 15 people living in this small space, but a lot of warmth and generosity in that room. We stayed a couple of days, and when we were getting ready to leave, they stopped us. I thought they were going to ask for money or food. We would bring pens with us, things that we'd just take for granted or they even take for granted now, they didn't have. And they asked for batteries for their radio. That was the one thing they asked for. And I think that was a very formative moment in my life, where I just thought that human desire for connectivity is so strong regardless of who you are or where you are in the world or what you have in the world. So, that interest in English, I was thinking of journalism. But there was always in the back of my mind, "I want to figure out a way to connect this world in a better way." And at the time, it was through words. And then, I ended up taking a few classes. I went to Penn, and Penn has a great school of communication called Annenberg. And I decided to study Communication. I took an Economics class on a dare from a guy in my freshman hall, because it was supposed to be the hardest class, according to him and his friends, the hardest class in the history of the world. And that was where I decided to take on the challenge and learn something I hadn't known much about and also be surrounded by people who had been wanting to do that their whole lives, seemingly, and kind of be pushed to be really good at it. And I ended up loving it. And so, then I decided to individualize this degree in Communications and Finance and ended up doing tech investment banking, where I was introduced to the Netscape IPO and just became fascinated how the Internet could actually solve that connectivity challenge that I had seen so many years ago in this little rural part of India. Kelly: Wow. I want to go back to Case Wallet for a moment, because I think it's a really great case study in terms of how you found them. Also a female founder, which, as you know me, that's something that matters to me in terms of diversity. In making that investment, how much of it was the product, and how much of that was the entrepreneur? How much of that was the world unfolding as you saw it, and seeing, "Oh, with my experience, with the investments I've made, with the trends I'm watching, here is someone that's got a grain of something that I can really help shape." What's that, I want to say, cocktail that made you decide as a VC that this is something you wanted? Because you led that round, as I recall. Jalak: Yes, I did. The fund led that round, which meant that I set the terms and put the most capital of all the investors in that company. And I'm also on the board. It's one of those where you mention all these different parameters of an investment, including the team, the product, the market opportunity, what I think I can also bring with my experience to the table to help the company grow. All of those were very strong with this one, which is one of the reasons I decided to step up and lead this deal. From the moment I met Melanie, I saw that she was really thinking about the potential in a very broad manner in that she had developed technology for a specific use case, which is how do we make Bitcoin transactions more secure. And it was very complex technology. It is very complex technology. But she was also thinking of how is this really going to grow, what sorts of devices can we put this technology in. She had put together a hardware wallet. Hardware is a very difficult thing to do, and she had gotten the manufacturing up and running around that. So, I just had a lot of confidence in her ability to see where the market was headed in something that is so early, which is so important with these early-stage entrepreneurs. Google did not start off as Google the search engine when they started. They grew and they saw opportunity. And I'd say most companies that grow to be billion, multi-billion-dollar companies start off with other plans or much more focused business plans, and then they kind of work with the market to grow and take advantage of opportunities. So, that is a combination of the market and the entrepreneur. It's having confidence in this entrepreneur, who can be...it's a fine line between being very focused and then being able to stick your head up and then being able to see broader opportunities as the market evolves. So, I saw all of that. I like to talk to the full team and see interactions between teams and between the CEO. And in her case, she had a great relationship with her team. They spoke very highly of the interactions. Now, it doesn't mean that there are not going to be conflicts, but managing conflict is an important part of managing teams. Kelly: You mentioned before that she had been a serial entrepreneur. Had she worked with any of the current team before? I'm assuming part of it is her ability to create and manage teams. Did it matter whether or not her prior ventures were successful to you? Jalak: Well, look, it definitely helps when there's been a prior success venture, and hers was. However, I think you learn a lot from failures also. And so what's more important is what kind of experience and perspective is the entrepreneur bringing to the table, regardless of whether their previous venture was successful or not. And how much self-awareness do they have? And I think self-awareness is absolutely essential to being a successful entrepreneur, knowing where your strengths and weaknesses are. No one person can be everything. And so being able to complement the strengths or augment weaknesses is so important. And I saw all of those characteristics in her. And she knows she can pick up the phone or text me with quick questions, and I'm responsive when I can be. And so having that communication is very important too, that she is not afraid to tell me when she needs help on something or has questions on certain things. So, that puts my mind at ease, being an investor. Kelly: Well, it's like sort of one of those things, to say, "Hey, you can reach me anytime." But whether or not the entrepreneur does that, and that comes back to that self-awareness, which is so key. Because I think it also touches on when we talked right at the beginning about a fund, and is the entrepreneur in it for the long run, and is it the right team. Sometimes the right team to launch a product is not the right team to grow and scale a product, and someone who is the right founder is not the right CEO down the road. And having that self-awareness of knowing when you're not the right person. Jalak: Yeah. And we've seen that very recently with Foursquare and Dennis Crowley, who is one of the cofounders of the company, who just stepped aside to become chairman, which is usually what happens when a founder CEO steps aside. And the company is at an inflection point, where they need to grow and build certain elements of the business which weren't necessarily part of the original business plan. So, he has brought in a team that can execute on that that has some advertising experience, etc., and he can go back to guiding some of the new product development. Kelly: Right, I would say, and the NastyGal's CEO, founder who's stepped down from being CEO and went back to what she started and loved, which is product. So, having that incredible self-awareness, rather than agonizing over it, you should celebrate the entrepreneurs who get who they are and what they're really good at and where they add value. I want to touch on this. You sort of brought it up, and we've talked about it a little bit in terms of diversity. Why is that so important in terms of how you're approaching investment? Because I really do think this is not a charity thing. This is an investment edge, and clearly one with, I want to say, both your breadth of experience and the geography, in terms of where you're investing. This is giving you an advantage in these new technologies, but I want to hear it from you. Jalak: So, I'm a double minority. I'm a woman. I'm Indian. I wasn't born in this country. There are so many elements of who I am that just by default represent diversity. And I think we all come to whatever we do with biases. Everyone has biases. The challenge that I've seen in the venture and tech worlds is that you have too many people with the same biases who are making decisions about what is getting funded. And it really is about the future of innovation, because most large technology companies at some point took venture funding. There are very few that haven't over time. So, when you look at an industry that only has 4% women in senior roles that's funding the future, I just saw a lot of problems with that, and I see a lot of problems with that. Which is why I encourage so many women to just explore the industry, whether it's venture capital or tech development or blockchain. If there's anyone who's interested in learning more or wants to be recruited for one of my portfolio companies in the sector, I always welcome that, because the more diverse minds we have working on product development, on what these future technologies are, I think the better we all are going to be in the long run. And we're going to be able to benefit in a broader way, whoever we are. And the reality is most of the world's population lives outside of the United States or Western Europe. We have declining populations in places like Western Europe. So, the growth is really China and India and Africa and Latin America. And without understanding what the needs or the approaches and the way people around the world in diverse places outside of the United States use technology, we're never really going to really create the best technology for the world. And as an investor, if you're just looking at it from a monetary standpoint, where I do have to return capital to my investors, I think I'm able to return a better amount from having this perspective. I feel like I'm not leaving money on the table, because I'm looking at the broader potential of what's possible. Kelly: Great ideas can come from anywhere. Jalak: Absolutely, and we've been seeing that consistently. Kelly: Where can listeners find you online? Your website is Futureperfectventures.com. Kelly: Are you on Twitter? Jalak: I am. My Twitter handle is @Jalak, my first name. Kelly: And if someone wanted to find out information on your portfolio companies, if there's recruiting, where is that information? Jalak: The portfolio is on the fund website. And I also write a blog called "The Barefoot VC." That has a lot of my perspectives on tech trends and globalization and social impact, so that's another place you can find out more about me. Kelly: All right. I want to now jump into our pay it forward questions, our regular series of nine questions we ask every guest to get our listeners a little smarter and some practical advice. So, what are your go-to sources of information? Jalak: One of the first things I do in the morning is check my Twitter feed. So I've been on Twitter since 2007 and have curated a number of fantastic sources that are very global. Some are the Wall Street Journal, Financial Times, and others are individuals in India or the Middle East or Africa. And I just find that it gives me a really good way to start the day, in terms of knowing what's happening in the world, and also having some funny stories in there too, because humor is not a bad thing. Kelly: You know what? A cat meme to get your day going. My second question out of our nine is maybe it's...there's a different answer. So how do you discover new information? I know Christie on our team can't go a week without listening to Slate's Political Gabfest. Is Twitter your new information, or you got another secret source to tell us? Jalak: I find that I do discover a lot from people I'm following retweeting other folks. Part of my job is just doing a lot of reading. And in the course of reading about technology or new trends or even a Goldman Sachs report on the future of financial technology, I may, as unexciting as it may sound -- I mean, I do get excited about that sort of thing -- but there may be sources cited that I then dig into. Kelly: All the good stuff's always in the footnotes, always. Jalak: Yeah, you never know where you're going to uncover new information. So, I'd say it's just a combination of the sources I read and then just keeping my eyes open for more beyond that. Kelly: So, beyond financial trend reports out of Wall Street, what book are you reading? Jalak: I'm reading a book called "The Future of the Mind." And I have been fascinated about the brain and the mind, one of the reasons I am looking at artificial intelligence and implications of artificial intelligence in technology. And it's just this fascinating book, talking about how the human brain has developed over time, and how all of this new information is going to impact the future development of the mind. Kelly: The last frontier. Who are the people who most influenced you in your career? Jalak: Wow. There have been a number of folks I've worked with over time. But if I really look at who's driven me and given me the values to do what I have done, it's really my parents. They are immigrants. They have shown incredible resilience and flexibility. I think about all the things I look for in entrepreneurs I invest in, and immigrants often epitomize a lot of those characteristics, in that you're coming to a new place, taking risks. You're learning while doing. And also really need to be able to be flexible. You can't expect things to be the way they were from the place you came from. And just in terms of values, a lot of people think of VCs as these vulture capitalists. I've heard that many times over a time. But I do think that venture is an asset class that creates so much opportunity for so many people around the world, if we look at what technology has been created from venture-funded companies. And I think that as a VC, you are in a position to really positively impact the world in tech development. And I think that I never forget, because of where I came from and the values I have, of how lucky I am to have that opportunity. And I take that responsibility very, very seriously. I have fun with it, too. I love what I do, and I love interacting with these entrepreneurs. But it is a great responsibility, and I think having been grounded in the values I have, it just makes it all a lot easier. Kelly: Well, this immigrant is very grateful to be here, too. Kelly: I'm agreeing with you on that and the responsibility and all the rest. What's the best advice you ever received? Jalak: Oh, there's quite a bit. I'd say: "Be yourself, because everyone else is taken." Kelly: I love, love that. I think particularly in this world of startups and venture, it's hard to fit ourselves all the time into Harvard or Stanford-educated 22-year-old white males, so you might as well be yourself. Jalak: I also think it's about, look, you have to be able to interact in the world that you find yourself in. But at the end of the day, the people who are truly unique and thinking differently are the ones who are going to change the world. And it's the unique elements that are going to make the difference. It's not always easy being the only woman in a room or having such a different perspective, having spent so much time in Africa. I remember coming back when I was 10 from that India trip and just telling my 5th grade classmates about places that didn't have plumbing. It was such a different world from growing up in suburban New Jersey that people just looked at like I was an alien. But it's all those things that have given me empathy and allowed me to uncover opportunities that other folks don't necessarily see. So, that "be yourself" advice just rings truer and truer as more time goes by. Kelly: That's great advice. All right. What's your go-to item in your wardrobe when you want to feel bold? Jalak: Oh, I definitely say my stilettos. Kelly: You and I have the same go-to item. Jalak: I was going to ask you what yours was. Kelly: Oh, always. I figure as long as I'm taller than most people in the room, I'm good. Jalak: The stilettos don't usually get me there, but I think having presence is important, and they certainly help in that category. They don't hurt. Jalak: Yeah. I believe in comfort, too. And I found some pairs that are also reasonably comfortable, so that was a big find to be able to do that. Kelly: Key when you find those. Kelly: And you've hinted on this in terms of our last pay it forward question. You hinted on this earlier from either the composition of your portfolio to the dinners you do, how do you pay it forward for women? Jalak: Well, I viewed starting the fund as one of the most powerful ways that I could inspire women. I already talked about how only 4% of senior venture capitalists are women. I think we need to see...it's kind of like Gandhi said, "Be the change you want to see in the world." I wanted to see more female investors out there. I have all this experience. I viewed it as an important part of my career to start a fund so that I could be that change that I wanted to see and hopefully encourage more women to become investors, to approach VCs, to start their own funds, and think about building really big companies. And with only 4% women, we are leaving so much money on the table. We're leaving so much tech development and perspective on the table. So, it was very important for me to be that role model that women could see. The statistic of women who invest end up investing in more female-led companies than their male counterparts do. It's been published in the last couple of years. I definitely see it in my experience. And so by also running this fund, I know I'm investing in a number of very capable women and being able to bring my experience and capital to the table to help their companies grow. Kelly: Thank you so very much. Jalak: Thank you. It was great to talk to you. Kelly: Thank you for listening to BroadMic. We welcome your feedback. Find us on Facebook, where you will have show notes and additional references for a deeper dive into today's topic. Subscribe on iTunes so you never miss an episode. Please review our podcast on iTunes, which will help other listeners discover BroadMic and grow the BroadMic community. BroadMic is produced by Christy Mirabal, with editing by John Marshall Media. Our executive producer is Sarah Weinheimer. Think Broad.